Richard and I met at George Mason University. I was in my final semester and he was one of the campus police officers. Since I was a student and the campus police strongly discouraged the officers from dating students, we had to wait until I graduated to officially start dating. 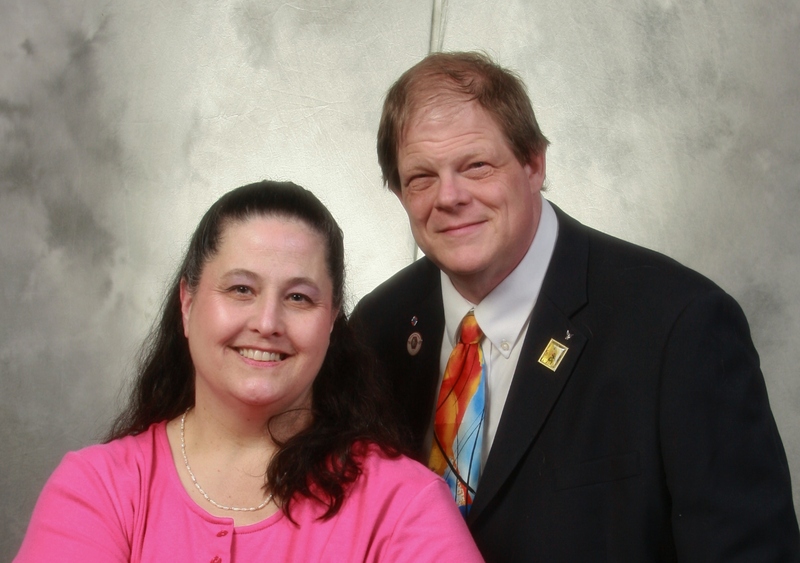 We were married about 18 months later in May 1987. Here we are 26 years later. In 1991, we welcomed our first-born child, Elizabeth. In 1994, Amanda joined the family. Then in 1998, our first son, Douglas, was born. According to society we had pushed the limit. Now that we had our boy we had to be done. I would say I honestly agreed with the sentiment at the time. I returned to work about six weeks after Douglas was born. We quickly realized having three children in daycare was expensive! My entire monthly salary and then some was going to cover the cost. Richard and I prayed and decided I would come home to take care of the children for the next few years. Once they were all in school I planned to re-enter the workforce. We decided I would go back to school and get my master’s degree once Douglas turned two and daycare rates went down significantly. We figured the new degree would cover up my time away from work. Once I was home and taking care of my husband, my children and my home I realized I was enjoying myself, much to my surprise. I was a product of the feminism movement which led me to believe that I had to work to be fulfilled. I began to seriously consider that I may not want to return to the workforce at all. 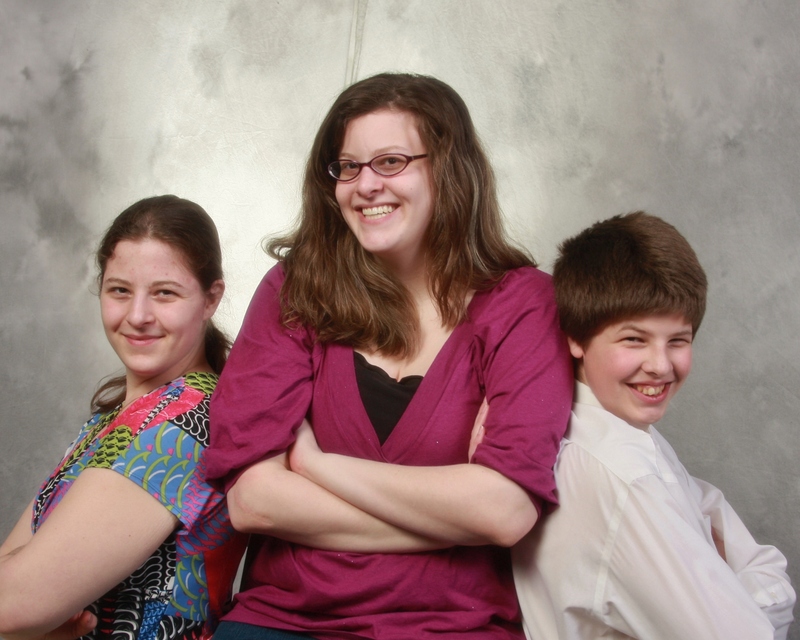 I was enjoying my children, and the overwhelming stress I had been feeling was gone. I realized I wanted another child and enjoy a pregnancy and the newborn period without the thought of having to return to work looming over my head. It is amazing how once you take yourself out of the world and do not listen to the mutterings of the people who say children are burdens, you become more open to them as blessings. Richard and I talked and prayed about the decision to have another child and decided we would welcome another addition into the family. In August of 1999, we were overjoyed to find out we were expecting a baby. Our first sonogram about a month later showed we were expecting triplets. God certainly has a sense of humor. We were expecting to have one and God decided to bless us with three. Talk about a shock. 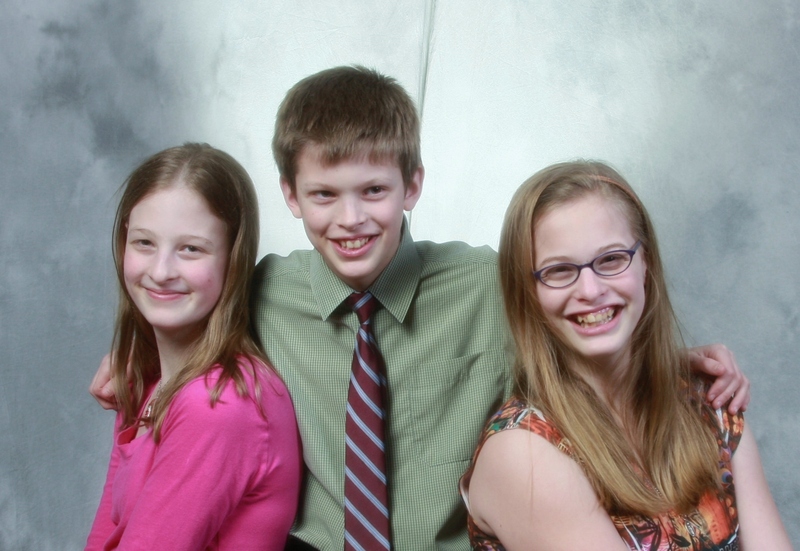 In February 2000 we welcomed Rebecca, Emma and Patrick. With these blessings we figured were done. Six children in today’s world are just too much. It wasn’t our fault that we had triplets, so it was somewhat acceptable for us to have six children. The comments of course started. “Are you done now?” “Are you getting fixed?” “Do you know what causes it?” We tended to agree we were done. But we all know God throws monkey wrenches into human plans. In August of 2004, we were surprised to find out we were once again expecting. Since this wasn’t a planned pregnancy, we both had some mixed feelings about becoming parents again. Comments began again about getting fixed, etc. How easy it would have been to just follow the world with these types of thoughts because of our feelings. 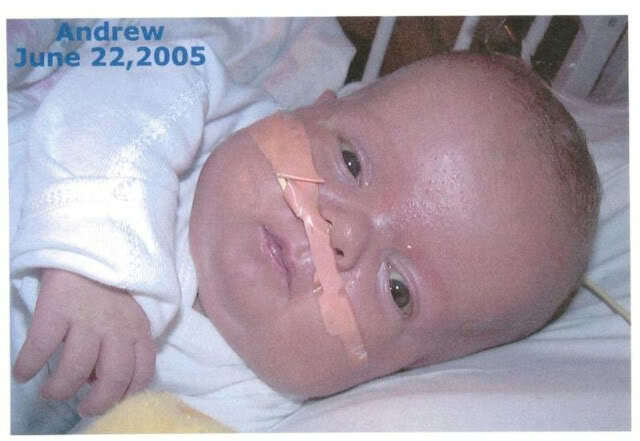 Andrew was born at 25 weeks in January 2005. 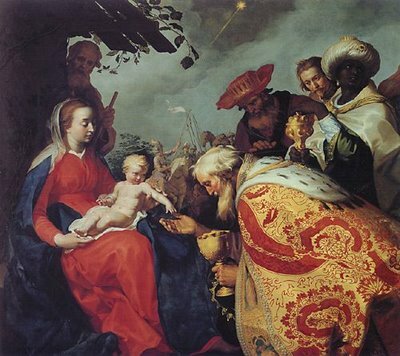 We had known he was going to have birth defects, but we were not aware of the severity of them. The intestinal atresia left him with about four inches of small intestine, which is not enough for the body to absorb enough nutrition. IV feedings cause the liver to failure, which lead to his death in July 2005. The family now had a personal saint in heaven. This thought provided us with some comfort, but overall we were devastated. I was feeling like a failure as a mom. We were left with empty arms and hearts with huge holes. I selfishly did not want my last child to be one that had passed away. Richard and I once again talked and prayed. We decided to remain totally open to life. We were blessed to find out in April 2006 on Good Friday I was expecting. Two weeks later we found out we were once again expecting triplets. We were totally shocked! We never figured on another triple pregnancy. Liz looked up the odds of two triplet pregnancies. She said the odds were 1 in 64,000,000,000. Thankfully this second triplet pregnancy was a little easier since we knew what to expect. 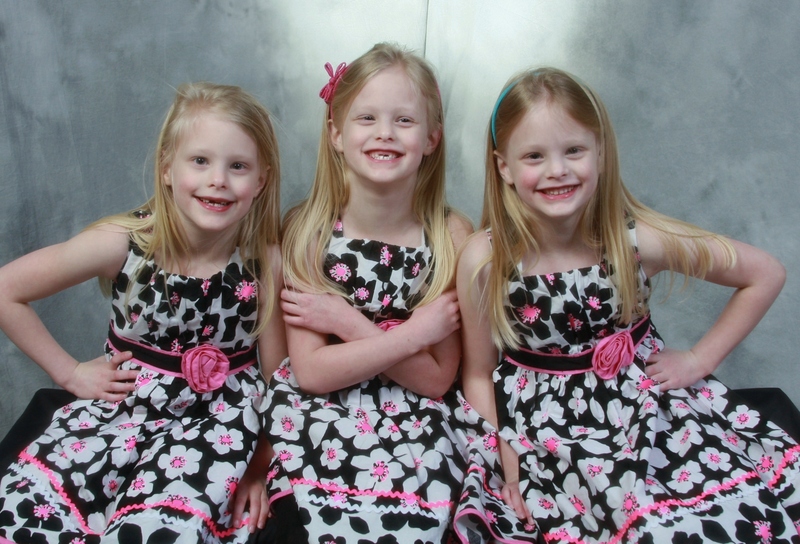 Abigail, Margaret and Marian entered into the world in October 2006. The comments continue on to this day about being done. We tell people we are totally open to life and would accept any child God would choose to send to us. Once we lost a child, we realized how much of a miracle each child happens to be. We have not been blessed with any more children as of now, but you never know when God will choose to bless the family. Now you know a little about my family and how we came to be. I invite you stay awhile and see how I go about Managing Mayhem and Multiples. We did get most of the “room dump” completed in the girls’ room. We even did some rearranging of the furniture. We are getting the room planned for when the five year olds will have to graduate to twin beds. I think plan should work. All that is left is to complete in the room is the top shelf of the closet. It should not take long to complete. Once their room is completed after lunch, I am going to do a “closet dump” of the upstairs linen closet. That particular closet has become disorganized over the past six months because of MY inattention when the children are putting away towels and the health and beauty items (the shampoos, soaps, and toothpastes). Time to pull everything out and reorganize it. I am going to pull out some of the older towels we use for rags and cleanups to free up space on the shelves. Then I am going to group the mouth care, soaps and shampoos, cold products, nebulizers and asthma meds, not to mention our box of ace bandages and assorted braces (from my oh so clumsy family, me included) together. Then it will all be put away in a logical fashion. Once that closet is completed, I will be definitely working with those that put items away to make sure it stays that way this time. Have a wonderful, blessed Sunday with your family. Today I am going post some things that I am thankful for in my life. I realized recently that I haven’t been vocal enough lately about our blessings. I do not count Our Lord and God in these, because it only through him and from him, I have these earthly blessings. First and foremost my husband, Richard. He has been a rock the past few years with the turmoil that has been going on in the family and extended family. He has allowed me to stay with Liz at the hospital, run back and forth to Virginia to help out Mom when dad was ill and then after his passing. Most recently he has been so wonderful in allowing me to travel to Virginia to spend time with Mom and run her around to appointments that need to be kept. Second, is the blessing of homeschooling. Homeschooling has allowed us to separate from the strict schedule of the school system and allowed us freedom teach as we see fit and also allows us to have the flexibility to deal with life’s emergencies. Third, my children. Through them I am learning so much, even while I am teaching them. I see them growing and getting to know each other and their new life as homeschooled children. Finally, my friends, both in real life and online. Each community to which I belong to adds a blessing to my life. This happens either through fellowship with like minded moms of many, or growing in my faith because of discussions and pointed questions, or even learning how to get out of debt and stay that way! I thank God for each and every one of you.